Homeownership is a never-ending cycle of repairs, maintenance, and upgrades as your tastes evolve and finishes and fixtures become worn or outdated. The same holds true for the exterior of your home, including your landscaping. Over time, the ground around your home may settle, affecting the appearance of your property and causing issues with drainage or plant life. Landscaping may become overgrown or diseased, or may no longer be in line with your lifestyle or design preferences. Whatever your reasons for wanting to make a change, trust Lawrence Landscape for top quality landscape renovation services that will transform the look and functionality of your outdoor space, while adding value to your home. Call us today at 785-843-4370 to request a quote for landscape renovations in Lawrence, KS, or contact us online to schedule a consultation. During your custom landscape renovation, the experts at Lawrence Landscape will add topsoil where needed to achieve the correct grade and solve existing issues with leaks or drainage. Whether or not you’re planning to sell your home in the near future, a partial or complete landscape renovation can instantly improve curb appeal and increase the value of your property. Our team of designers and landscapers will work with you to determine the best solution for any unappealing or overgrown trees, shrubs, and perennials and help you to start fresh with lush foliage and colorful shrubs and flowers. Crumbling or uneven walkways, retaining walls, driveways, or patios show the age of your home and may cause damage or injury. The skilled experts at Lawrence Landscape can help to restore the beauty and integrity to these areas with professional hardscaping design and installation using high quality materials and superior craftsmanship. A landscape renovation can improve encroachment issues, where one or more trees have grown too close to your home, are casting unwanted shade in various locations around your yard, or may be harmful to the surrounding vegetation. If the root system from one or more trees is above ground, damaging or approaching your foundation, or wreaking havoc on your plumbing, a landscape renovation can help to solve the issue. Trees and roots can be removed and repairs made to the affected areas, replacing damaged lawn with fresh seed or sod. 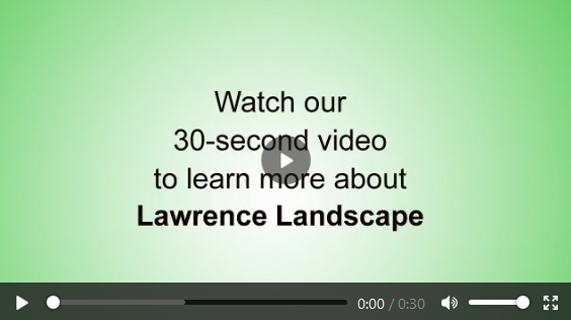 With over 30 years of industry experience and a dedication to excellence in quality and service, Lawrence Landscape has become a trusted name in landscape renovation, design, and maintenance throughout Douglas County. Call us today at 785-843-4370 to learn more about our landscape renovation services in Lawrence, or contact us online to schedule a consultation.